This book deals with adjectival suffixes in English. Its scope of analysis is confined to the formation of adjective pairs that share a single root but end in different suffixes. Theoretically, the book adopts Cognitive Semantics and attempts to substantiate some of its tenets. One tenet is that a linguistic item is polysemous by nature. On this basis, the goal is to show that an adjectival suffix forms a category consisting of multiple senses, which gather around a centre. Another tenet is that the meaning of a linguistic item is described relative to the domain of knowledge to which it belongs. In this respect, the goal is to group the adjectival suffixes into sets, where they stand for one concept but differ in the specifics. A further tenet is that the use of a linguistic item is governed by the particular construal imposed on its content. In this regard, the goal is show that no two adjectives are synonymous even if they share the same root or look similar. They differ, as evidenced by corpus data, in terms of the alternate ways the speaker construes their common root. 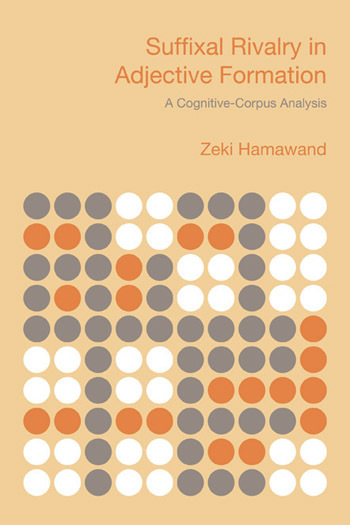 Empirically, the book adopts Corpus Linguistics, which helps to identify the distinctive collocates associated with the members of an adjective pair and, consequently, reveal the subtle differences in meaning between them. This chapter introduces the descriptive framework that is necessary for a discussion of the semantics of adjective formation in English. On its agenda, there are four main items. Section 1 defines the notion of suffixation and specifics the intricacies involved in its description. Section 2 reviews the linguistic approaches. It shows how they treat the issues of form-meaning relationship, morphological rivalry and lexical alternation, touches upon some existing research and offers an assessment of the treatments posited. At the end, a new approach is outlined, covering its underpinnings, assumptions, goals and procedures. Section 3 presents the methods of analysis within which my treatment of adjectival suffixation is conducted. It falls into two subsections. The first tackles the theoretical method represented by Cognitive Linguistics, elaborating on the principles related to adjectival suffixation and the mechanisms responsible for morpheme combination. 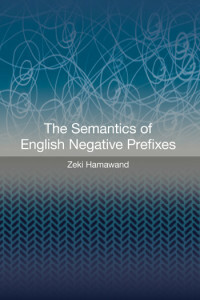 The second handles the empirical method represented by Corpus Linguistics, describing the corpus consulted and the techniques employed in the analysis. This chapter explores the role of categorisation in the semantic description of adjectival suffixes. It attempts to substantiate two principles of CS. One principle is that all language items, lexical or grammatical, have semantic values which motivate their linguistic behaviour. Applying this principle to morphology, I argue that a suffix has semantic import and adds to the meaning of the root which hosts it. Another principle is that linguistic items are polysemous by nature. Applying this principle to morphology, I argue that a suffix has a wide range of senses which gather around a central one. To that end, the chapter is organised as follows. Section 1 reviews the status of categorisation in language in the main theories of thought. Section 2 introduces the prototype approach by touching upon its mechanisms and enumerating its advantages. Section 3 applies the prototype approach to the characterisation of adjectival suffixes by grouping them into categories relative to the word class of the root and the structure of the suffix, namely into de-verbal bound, de-nominal bound and de-nominal free suffixes. 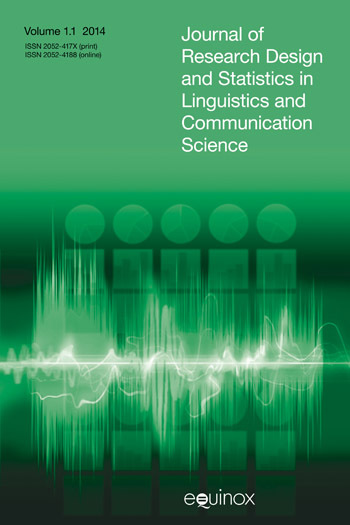 This chapter probes the role of domains in the semantic description of de-verbal suffixes. In the course of the investigation, it attempts to substantiate two principles of CS. One principle is that the meaning of an expression is described on the basis of the domain it evokes. Applying this principle to morphology, I argue that the meaning of a suffix can best be defined by comparing it with other suffixes located in the same domain. Another principle is that the syntax of an expression is a reflection of the construal imposed on its content. Applying this principle to morphology, I argue that the morphological form of a composite adjective is determined by the construal the speaker employs to structure its content. To that end, the chapter is organised as follows. Section 1 reviews the issue of meaning in the main theories of thought. Section 2 introduces the domain approach, highlights its essence and pinpoints its importance to the description of adjectival suffi xes. Section 3 tackles the domain of voice and its morphological instantiations. Section 4 handles the domain of aspect and its morphological instantiations. This chapter examines the role of domains in the semantic description of denominal suffixes. In the course of the investigation, it strives to substantiate two principles of CS. One principle is that the meaning of a lexical item can best be described relative to the domain to which it belongs. Applying this principle to morphology, I argue that the meaning of a suffix can best be defined by comparing it with other suffixes located in the same domain. Another principle is that the syntactic form of a lexical item is determined by the particular construal imposed on its conceptual content. Applying this principle to morphology, I argue that the morphological form of a composite adjective is determined by the particular way the speaker construes its scene. To that end, the chapter is organised as follows. Section 1 explicates the impact of the construal of perspective on the morphological forms of composite adjectives derived by means of suffixes. Sections 2–8 present the domains under which de-nominal suffixes are grouped, namely evaluation, possession, relation, resemblance, motion, trouble and disposition. This chapter investigates the role of multiple domains in the semantic interpretation of composite expressions. It attempts to substantiate the CS principle that the meanings of expressions can evoke different domains for their interpretation. Applying this principle to morphology, I argue that the meanings of an adjective pair can be identified through the domains they activate. Each meaning is realised by means of a specific suffix, which evokes an appropriate domain. Each suffix represents a particular construal imposed by the speaker on the content of the root with which it combines. To that end, the chapter is structured as follows. Section 1 introduces the notions of conceptual content and construal. Section 2 presents the notion of multiple domains, with emphasis laid on its implications and relevance to suffixation. Section 3 explains interaction between suffixes belonging to different de-verbal domains. Section 4 probes interaction between suffixes belonging to different de-nominal domains. Section 5 investigates interaction between suffi xes belonging to both de-verbal and de-nominal domains. Topics include: Theoretical findings and; Empirical findings. To address the issue of rivalry between pairs of suffixes and the adjectives they derive and to ensure the best results, the study has integrated the insights of two linguistic methods: theoretical and empirical. This is so because the approach adopted here recognises no division between theoretical and empirical methods. The study has shown how the two methods can coexist to give a detailed description of the way language is used. The theoretical method makes the necessary assumptions, while the empirical method provides the tools to verify them. For the theoretical method, language is subjective knowledge stored in the mind of the speaker, whereas for the empirical method language is usage patterns produced by the speaker. The goal was to present a detailed corpus-based analysis of adjectival suffixation in English within the framework of CS. During the analysis, the study has invoked some of their key principles. Based on such principles, the study has put forward a number of hypotheses and attempted to check their validity through rigorous argumentation, extensive illustration and empirical evidence.